Checked 1 hour after posting, 58.3mm still listing. No 58.5mm left. "For 3 days only we have up to 20% off our alternative brewing range, barista tools and accessories! If you've been pondering about a gooseneck kettle or ruminating on a pour over set up or just need to upgrade some of your barista bits and bobs... NOW IS THE TIME! 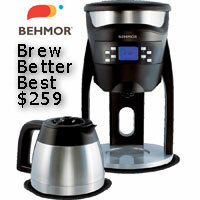 PLUS, the Coffee Snobs FREE SHIPPING code (CoffeeSnobs) is still in place, so you get free shipping as well as awesome discounts until midnight June 30 - check it out: https://cremacoffeegarage.com.au/sho...e-brewing.html"
Last edited by CafeLotta; 28th June 2018 at 08:07 PM. Reason: Updated. Not a bad price, thanks for sharing! Would have missed it. Should have waited a day before posting. I ordered and paid last night when they were showing stock and today was told they had no stock. Not happy. Way to lose a future customer. Our sincere apologies, the stock was correct, but it seem to have been dropped at some point and was too badly damaged to send out. As a result we could not count this as stock. Unfortunately, we were not aware of this until we checked it this morning. Not sure if it’s user error or not but I’m receiving and error each time I attempt to use the ‘CoffeeSnobs‘ code to receive the free postage mentioned. Saying invalid coupon code. Hi Walshy25, sorry for the delayed response! We were running the Coffee Snobs free shipping code in June only, as specified on our sponsor thread. 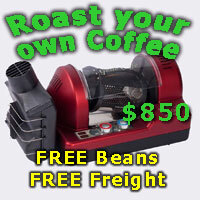 But we may bring this back in future or run other awesome deals just for Coffee Snobs. So keep an eye out for those!